Coming soon… a sister company from ELP. Over the past few years, I’ve really developed a passion for branding. That can be seen through my love for Wedding Crests, graphic design and working with other passionate business owners. Earlier this year, I started exploring my creative talents a little more by taking on a few branding clients. Over the next few weeks here and on the new blog, I’ll be sharing a few of our journeys. Branding isn’t just about graphic design, its about capturing feeling, emotion, stories, personalities, quirks, humor, passions and dreams. Working with branding clients, for me, is like working with brides. I find that I’m guiding and walking with them through a delicate, enormous, exciting and creative journey. Tracy Larsen is a photographer. But not just any photographer. She’s a photographer who adores children, finds joy in natural light and passion in family. She contacted me looking for a brand that reflected “love, creativity, purity and honesty in [children’s] faces, letting kids do what kids do and stepping in to capture that moment, freezing time, life long memories, [strong client] relationships.” Tracy’s style as a person and a photographer is very natural, minimal and full of life. Discussion: We talk about your company, why you got started, why you do what you do, what you love most and least about it. We talk about you, your story, your personality, your passion. This allows me the chance to get to know you – to answer your questions and get to the heart of your brand. Logo development: Next, we begin designing the logo. I’ll present you with four options based on our discussion and your inspiration board. We’ll refine and perfect these adding colors from your palette and design elements to bring your logo to life. I’m so excited to watch Tracy’s brand grow here and here. She’s wildly talented and has a real gift for working with children. It was such a joy to help design the elements of her brand – one that really already existed within her – as a mother and a photographer. 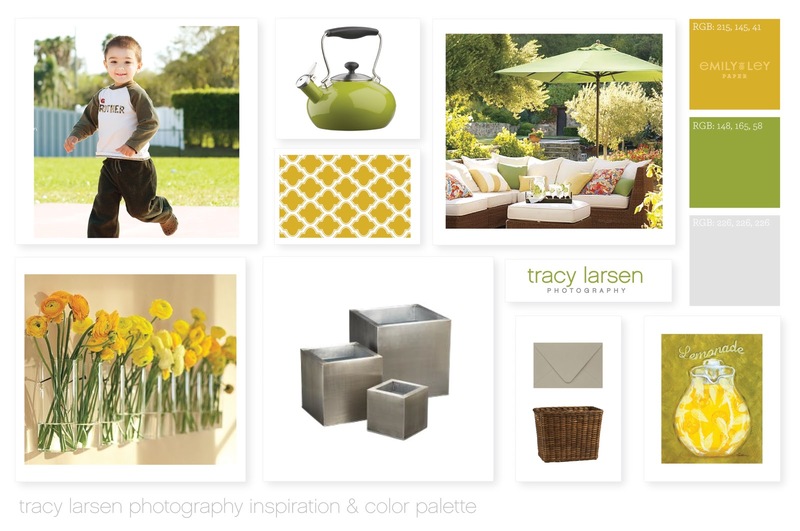 Follow Tracy on Twitter and visit her on her site and blog. Interested in working with ELP’s secret sister company? For now, before the official launch, contact me here and I’ll provide all the details you need about this branding process and many other services available.